The growing number of professional visitors to the trade show every year have a unique opportunity to meet the best in technological innovation and expertise in the watchmaking and jewellery, microtechnology and medical technology sectors – in a single place, on a single platform, in the heart of Europe. Visitors registration is open now ! The Palexpo site offers more than 4,500 spaces in total. The underground car park P12 (subject to charge) below Hall 5 is accessible 24/7. Disabled parking spaces are provided. Several bus lines travel from the city centre to Palexpo with various frequencies. The Swiss Federal Railways train station is 2 minutes by foot from Palexpo. 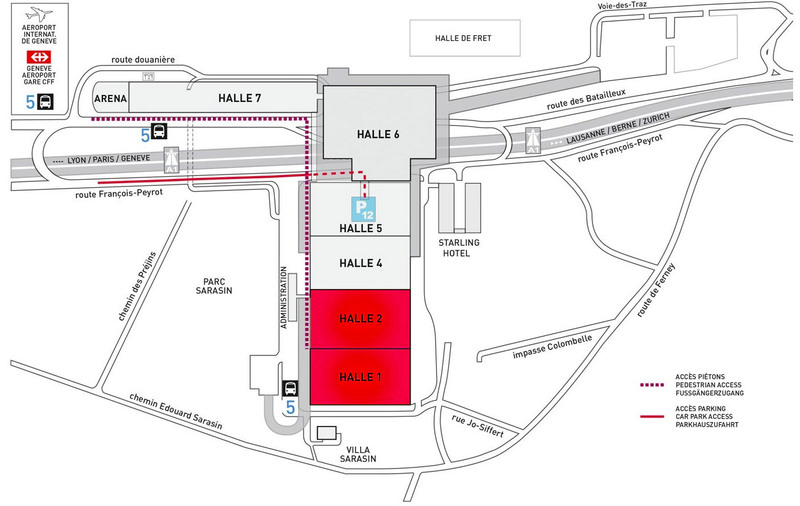 Geneva International Airport is 5 minutes by foot from Palexpo.